THE FUN : 3 / 9 THE FUN @ CLUB AZURE !!!!!!!! 3 / 9 THE FUN @ CLUB AZURE !!!!!!!! THE FUN @ CLUB AZURE!!!!!!!!!!!!!!!!!! 3月１６日(土)THE FUN @ CLUB AZURE!!!!! 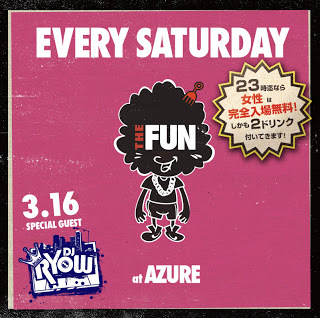 3 / 2 THE FUN @ CLUB AZURE !!!!!!!! !